Worth the wait!! I waited about 10mins for my Chicken Quesadilla, which was more than fine after the first bite! The quesadilla's were hot and Fresh! Worth the wait!! I waited about 10mins for my Chicken Quesadilla, which was more than fine after the first bite! The quesadilla's were hot and Fresh! The portion size was pleasing as well as the condiments provided. The customer service was great as well! 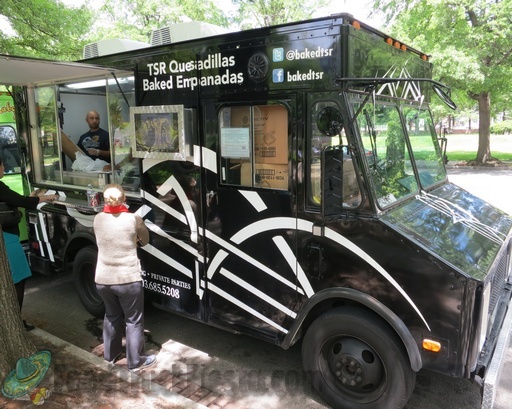 It is now on my food truck list and I must make my way over to the resturant in Arlington! The quesadilla was very good and fresh. Great portion size. It was enough to share. Nice lump crab meat. Only problem was online the price said $10 and when I got to the truck it was $12. Glad I came with 2 extra dollars. Very Very Good will try again. The crab quesadilla was delicious - I ordered it with black beans, pico de gallo, and spanish rice (sadly, they forgot to add the rice). Although the missing rice was annoying, and the reason I deducted 1 star, it still didn't take away from the meal. I would definitely order from them again. I'm curious about the empanadas. It has been about a year and the food quality is still top notch. The Bolivian style empanadas/saltenas are wonderful (a stew-like consistency inside, sort of like a pot pie with diced vegetables, meat and sauce) served insdie a flavorful, slightly sweet pastry dough and baked to perfection. 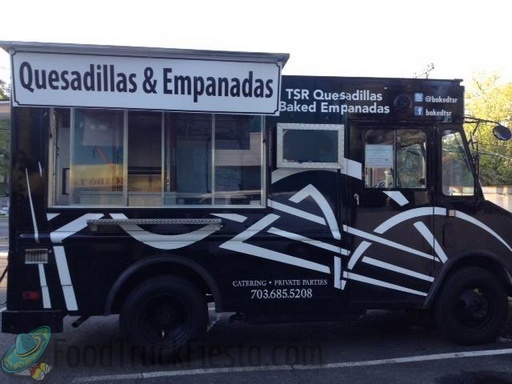 It is hard to find the non-fried variety of empanada in this area so I was excited to discover this truck. They have expanded their quesadilla / filling option offerings as well, though it takes longer to prepare them. When I'm crunched for time I opt for the empanadas as they are ready to go, no wait. It is definitely a favorite! First time eating from this truck and it will NOT be my last. So good - generous portions! How Much Did It Cost? : 10 dollars each. The truck operators are friendly, and the quesdillas combinations are great. Never seen so many topping options for a quesadilla. And shrimp and crab (real crab meat) quesadillas were both delicious. It was okay. Not a waste but I'm not going to kill myself to get to this truck. As others have mentioned the time it takes to get my order is long, 8 minutes. I got the chicken quesadilla with pico de gallo, spanish rice and sweet corn. It was good but not amazing. I also got a side of guacmole for $2 extra. It too was good. Mixed bag--food was very good but unfortunately after an extremely long wait I was given the wrong order. I hope someone out there enjoyed my carnitas quesadilla because I thought the crab quesadilla that I received was pretty decent. Never again. Ordered basic chicken quesadilla and was told it would take 6-7 minutes, which is a bit long for a food truck but I said ok. 15 mins later...still no food. I asked and was told it would be another 5 mins or so. Unbelievable and unacceptable when you only have 30 mins for lunch. Will never try it again...food may be good but I don't like being deceived. 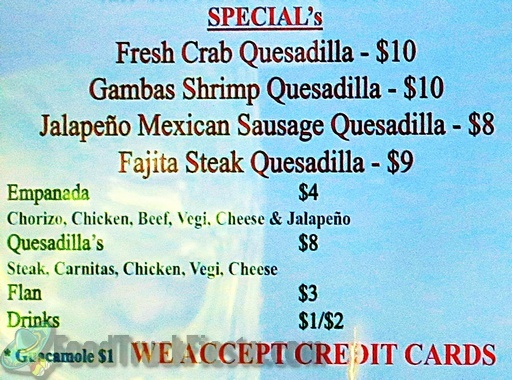 Today I order the Gambas shrimp quesadilla and chicken empanada, when I got back to my desk my order was wrong. They added crabmeat with a few pieces of cut up shrimp in my quesadilla and it taste nasty!!! In the past I have order shrimp quesadilla and it was good. Today was a waste of $14. The Salsa Room Quesadillas & Empanadas (formerly known as The Salsa Room Baked Empanadas) supplies DC with the most authentic best freshest handmade baked empanadas. They have operated a brick and mortar restaurant in Arlington since 1991. The food truck launched on Oct 22, 2012 in the District.